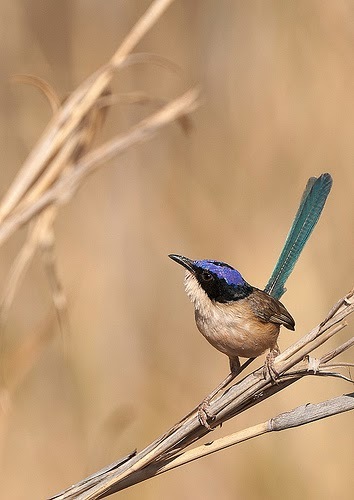 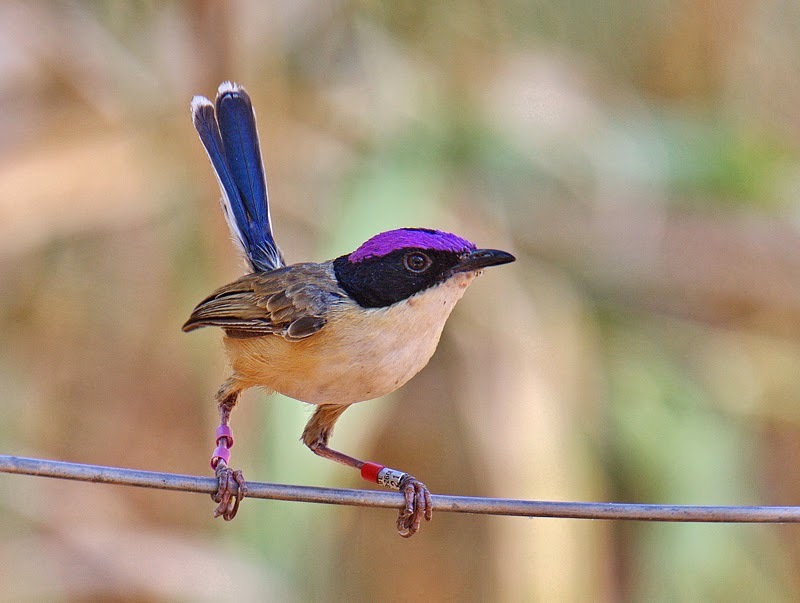 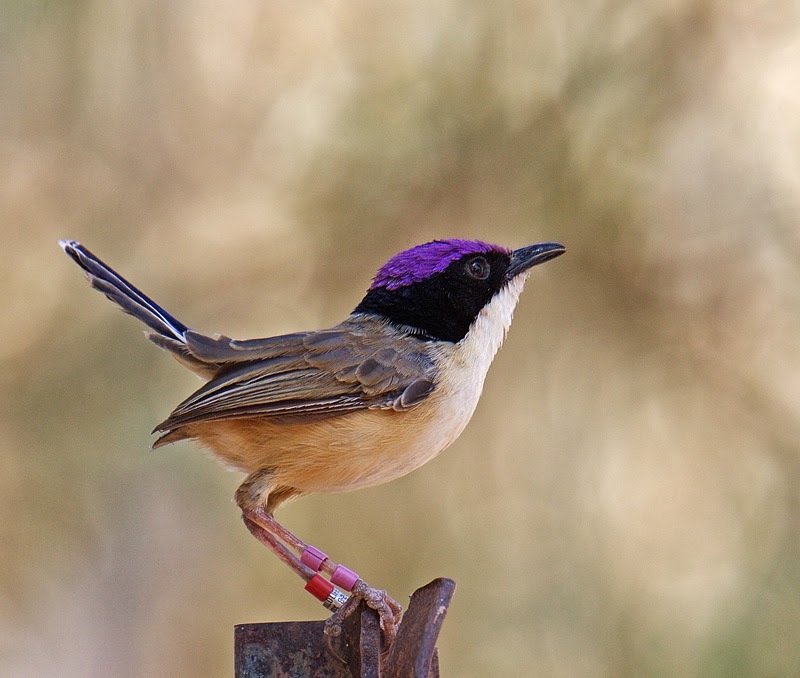 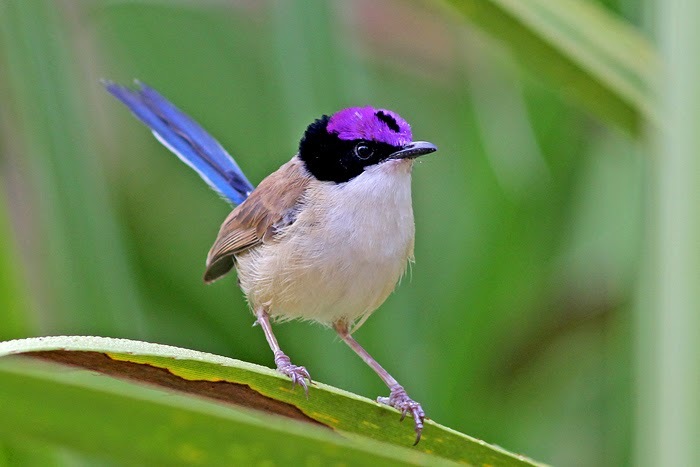 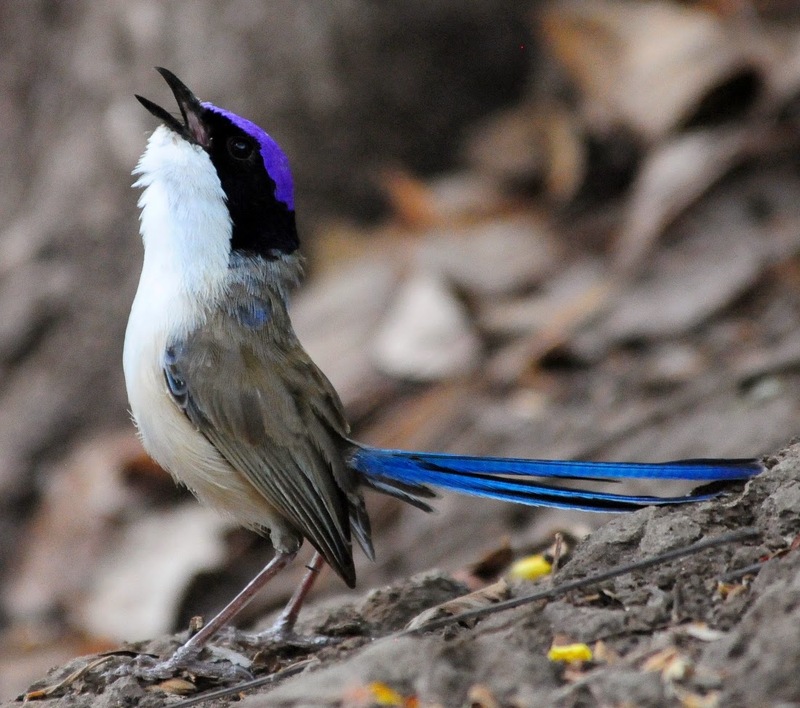 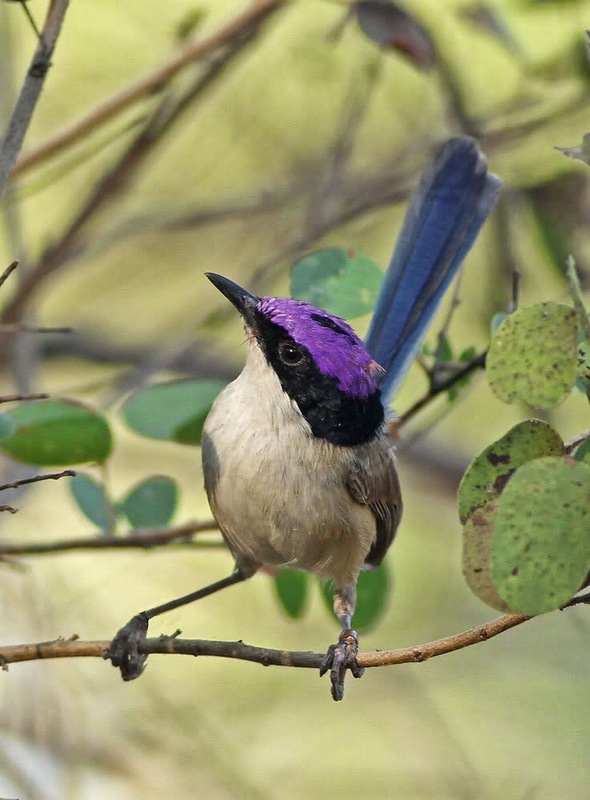 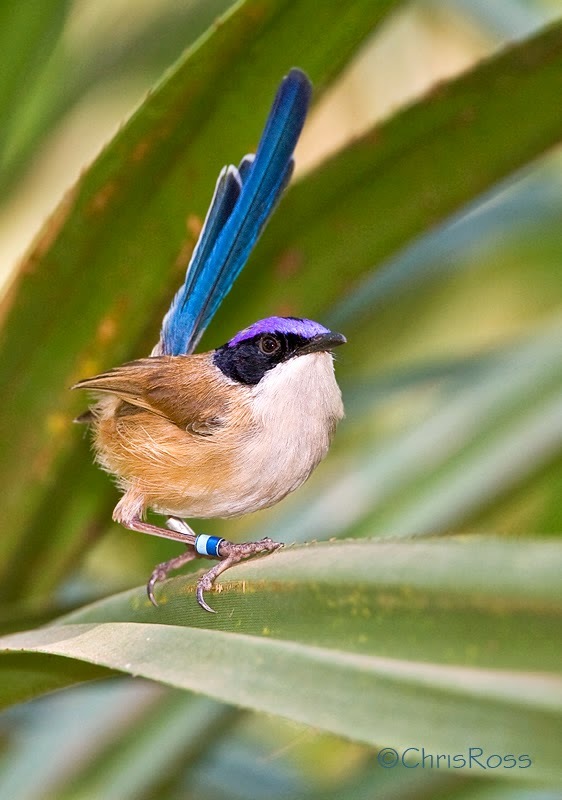 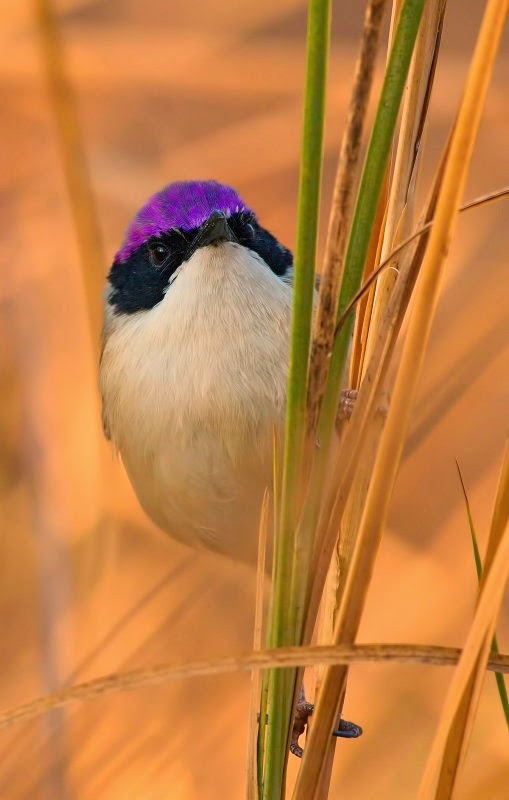 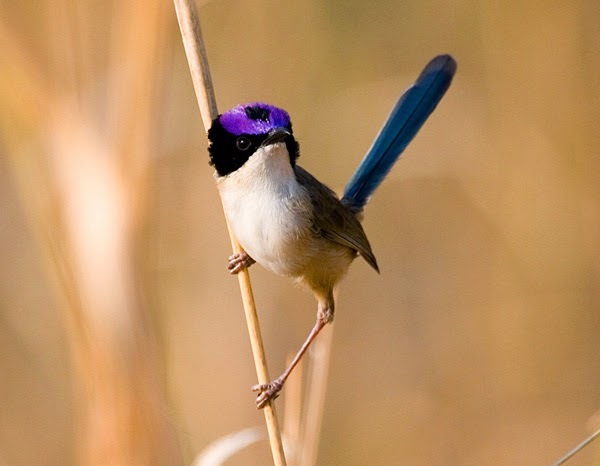 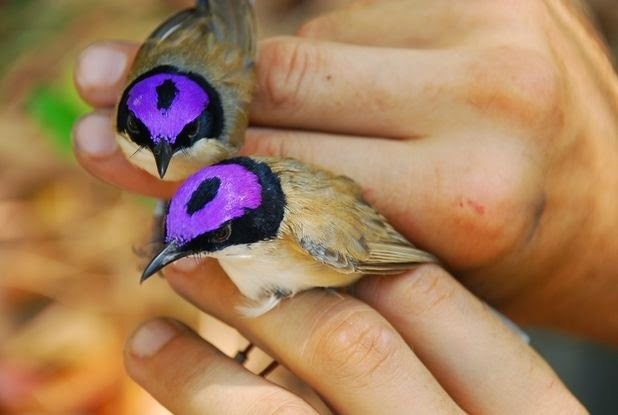 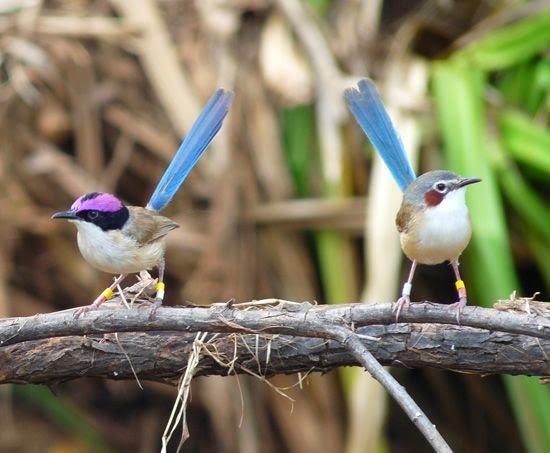 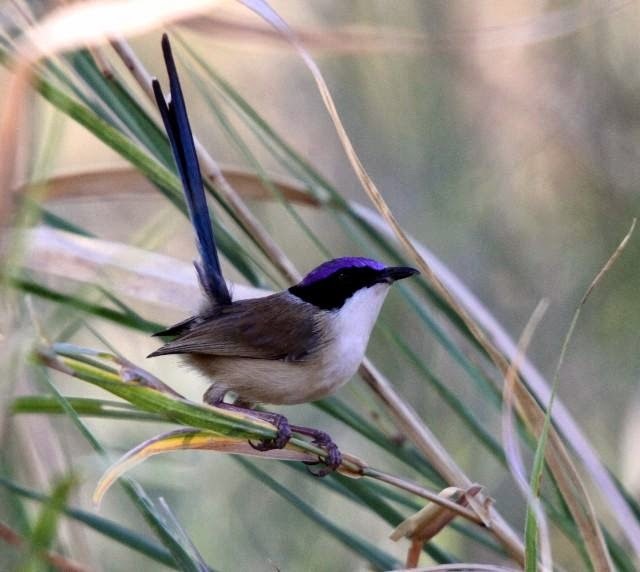 The Purple-crowned Fairywren (Malurus coronatus) is a species of bird in the Maluridae family. 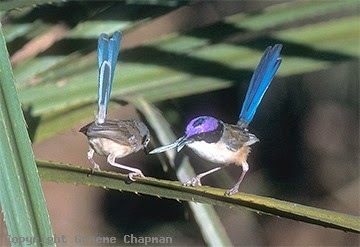 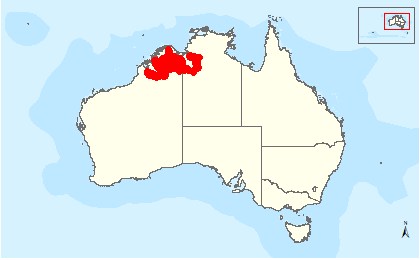 It is endemic to northern Australia; two subspecies are recognized. 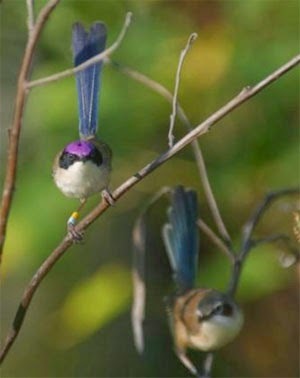 Its species name is derived from the Latin cǒrōna "crown". 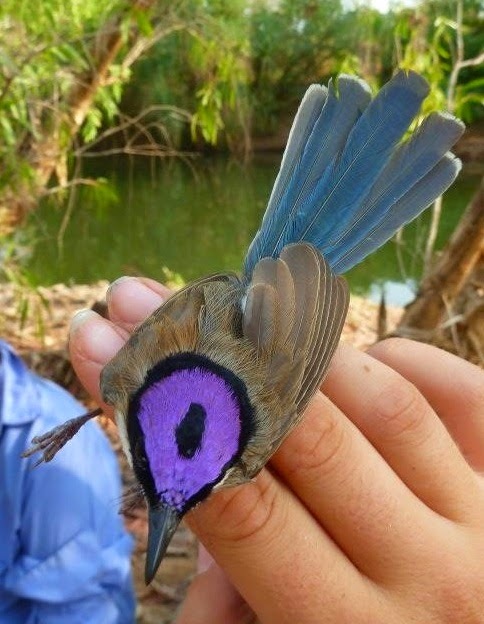 Its distinctive plumage led Mathews to place it in a separate genus Rosina. 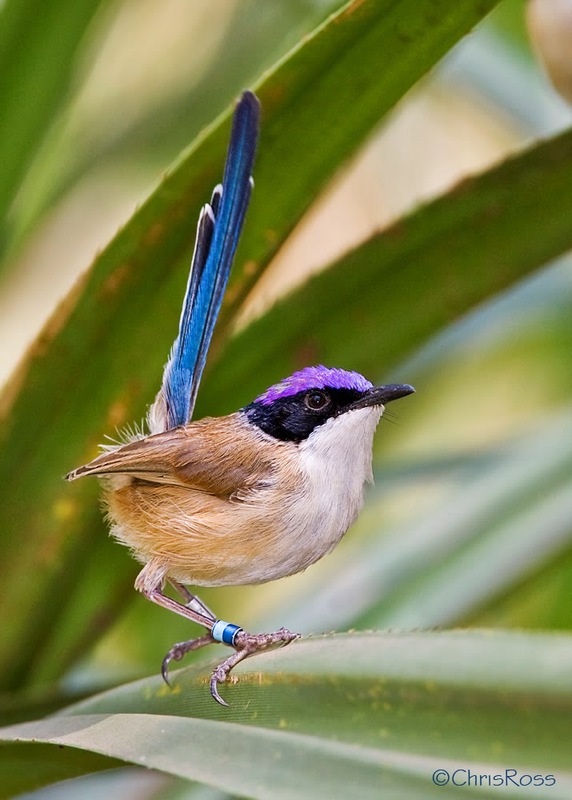 However, genetic evidence shows it is most closely related to the Superb and Splendid Fairywren within the genus Malurus. 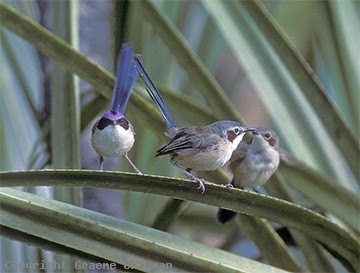 The plumage is brown overall, the wings more greyish brown. 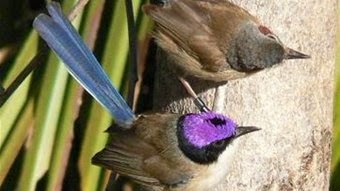 The bill and feet are black. 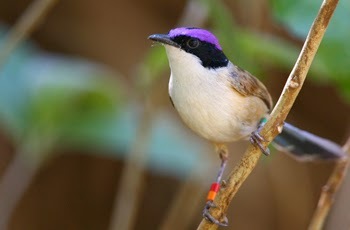 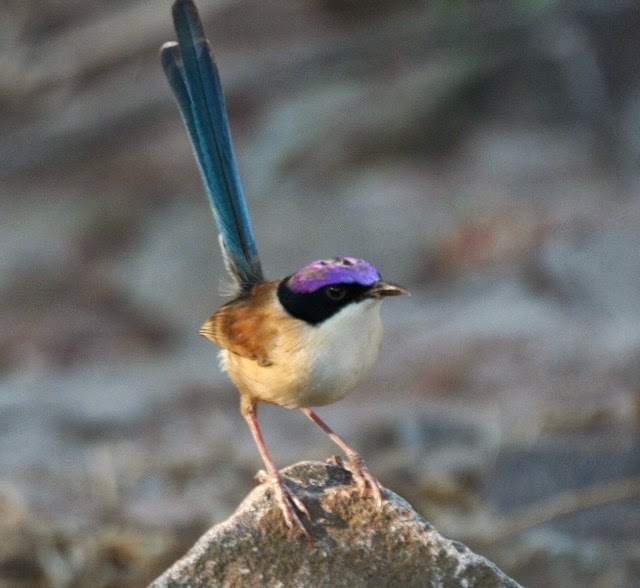 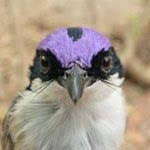 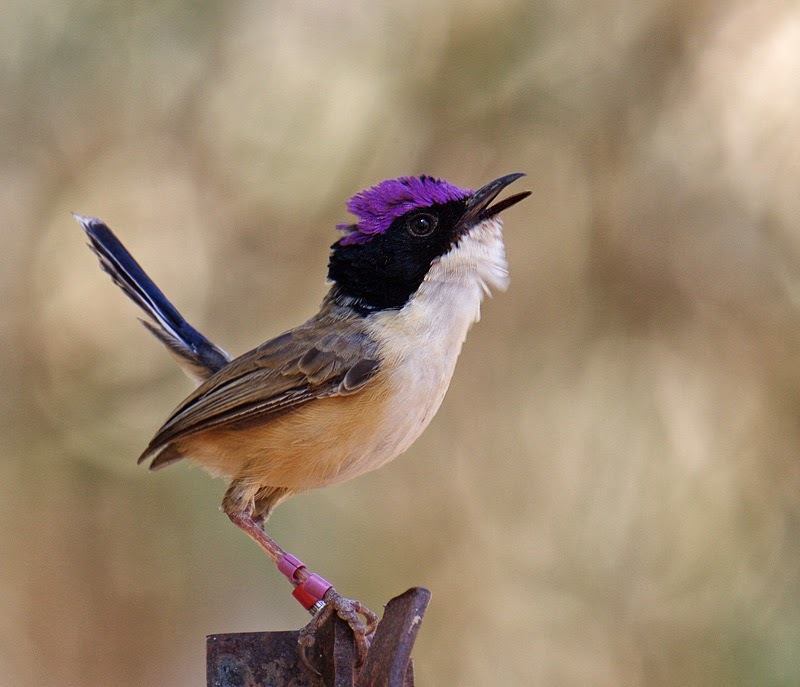 The male in breeding plumage has a purple crown bordered by a black nape and face. 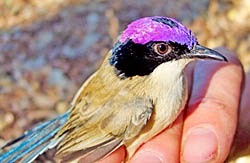 On the top of the head is a black rectangular patch. 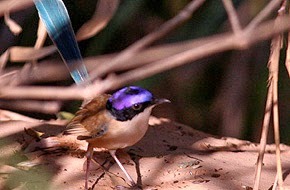 It also has a cream-buff belly and blue tail tipped with white. 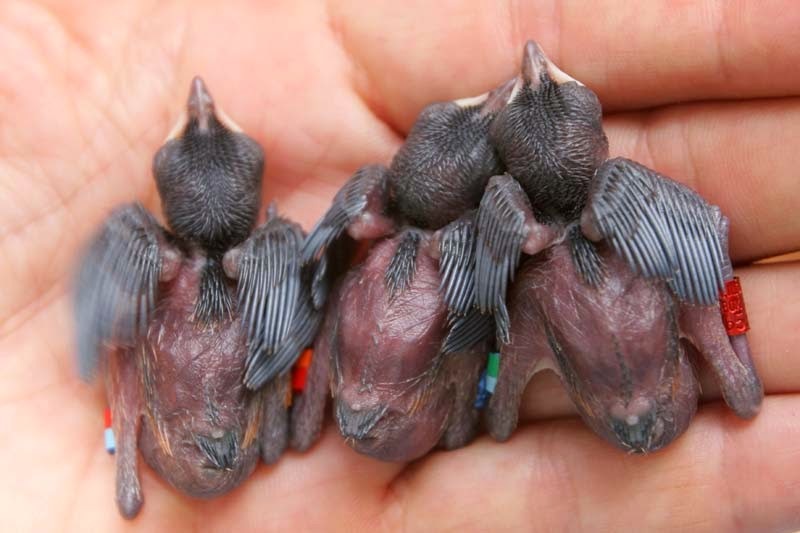 In eclipse plumage the crown is grey and head mottled black and grey. 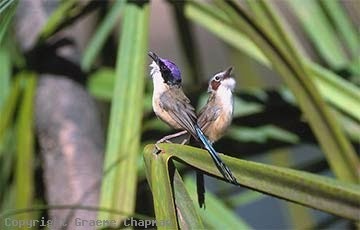 The female differs in having a blue-tinged grey crown, chestnut ear-coverts, and greenish blue tail. 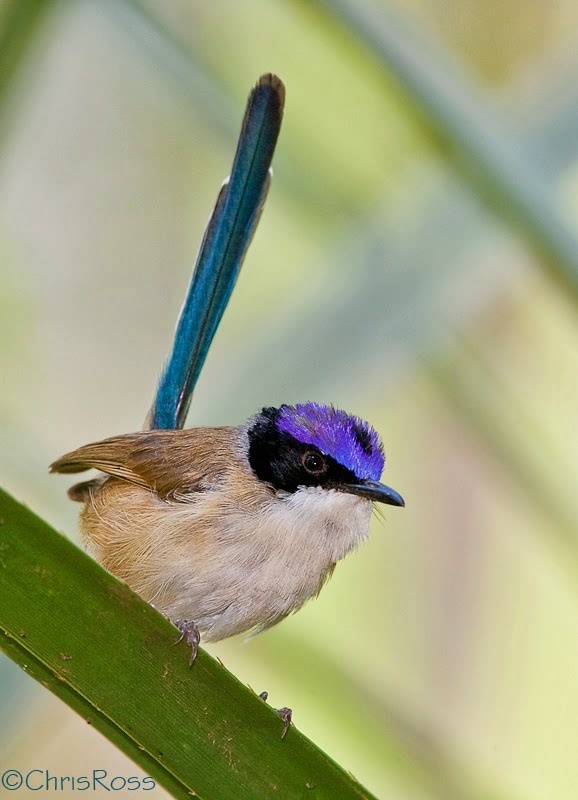 Immature birds have a brown crown, although male birds start to show black feathers on the face by 6 to 9 months. 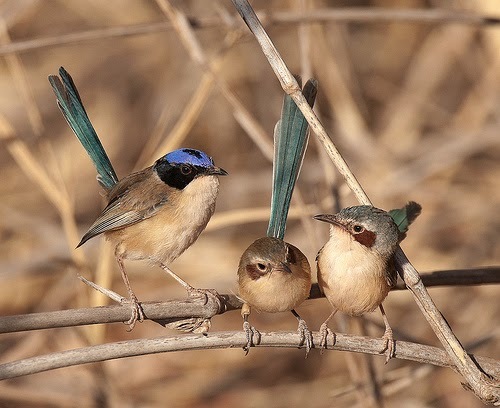 Three calls have been recorded: a loud reel cheepa-cheepa-cheepa, a quieter chet – a contact call between birds in a group when foraging, and an alarm call – a harsh zit.